Represent the iconic meat-shield of the Empire! 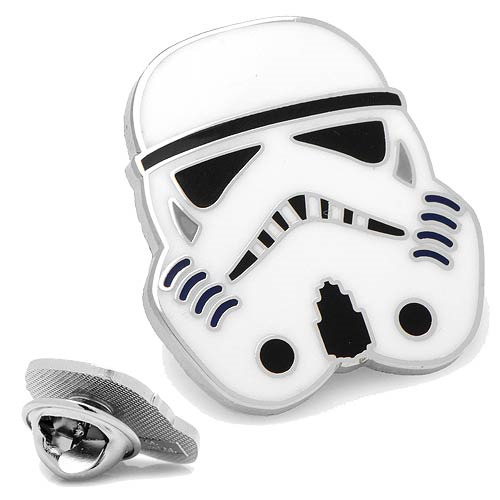 This Star Wars Stormtrooper Lapel Pin measures approximately 5/8-inches tall x 3/4-inches wide. Made from silver plated base metal with enamel, and features clutch back closure. Officially licensed by Lucasfilm LTD.